Home » Credit Card Reviews » Which Best Buy Credit Card is Right For You? Which Best Buy Credit Card is Right For You? You go to Best Buy®, either online or in a brick-and-mortar store, regularly to check out the latest in electronics, so its Visa-branded card or store credit card may be appealing. And to keep you coming back, even more, there’s the My Best Buy® loyalty program. The My Best Buy® Visa® Card lets you earn rewards that can be spent at the store. The card also can be used anywhere Visa cards are accepted. But the My Best Buy® Credit Card can only be used in the store or on the company’s website. 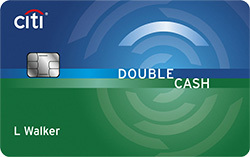 With both cards, you can choose between cashback rewards or flexible financing. And both cards offer even more cash back if you enroll in the loyalty program and reach elite status — all with no annual fee. But there are plenty of other cashback credit cards that offer lucrative sign-up bonuses and more robust rewards that may outweigh a boosted loyalty program, one of the best perks offered by both Best Buy cards. So we’ll also look at the Amazon Prime Rewards Visa Signature Card as an alternative to these cards. Nice rewards. When you shop at Best Buy, you earn 5% back in rewards at Best Buy, 4% back in rewards on entertainment purchases (through 9/30/18), 3% back in rewards on gas purchases (limited time offer), 2% back in rewards on dining and grocery purchases, and 1% back in rewards on all other purchases. That rises to 6% if you hit eliteplus status under the My Best Buy® loyalty program. Sign-up bonus. Receive 10% back in rewards when you use the card for the first time. Rewards into points. You can convert your rewards into points on everything you purchase. For every 250 points, you get $5 in rewards to spend at Best Buy. So if you spend $500 on the card at Best Buy, that converts into 1,250 points, enough for a $25 reward certificate to spend at Best Buy. 24-month financing on home theater and Geek Squad® purchases totaling $799 and up. That’s entertainment. The 4% back rewards you earn in this category covers sporting events, theater, music, cable, movies, video-on-demand services, recreational memberships and lessons, movie theaters, amusement parks, tourist attractions and video game arcades. Loyalty program. The My Best Buy® program rewards any Best Buy shopper who signs up, but extra benefits go to cardholders, including bonus points. There are three tiers: My Best Buy, elite and eliteplus. Elite members receive free shipping and scheduled delivery, 30 days for returns and exchanges, a birthday gift and a dedicated customer service line. Eliteplus members receive free two-day shipping and scheduled delivery and 45 days for returns and exchanges, a birthday gift and a dedicated customer service line. Elite and eliteplus members also get access to special deals and offers. Must *love* Best Buy. The rewards you earn with this card can only be at the store or its website. Reward limits. The 4% back in rewards for entertainment spending only lasts until Sept. 30, 2018. Make a choice. If you decide to use the flexible financing for larger purchases, you won’t earn rewards on them. Fewer rewards for travel. This is one of the top credit card spending categories, but this card only offers 1% in rewards for it. Status costs. You must spend $1,500 per calendar year for Best Buy elite status and $3,500 a year for eliteplus status. Best Buy rewards. You earn 5% back in rewards at Best Buy — 6% if you’re an elite plus My Best Buy® program member — with this card. Flexible financing. You get the same special financing deals offered on the My Best Buy® Visa® Card. Loyalty program. You receive access to the My Best Buy® program. In-store only. This card is only good at a Best Buy store or online. Limited rewards. You can only get rewards on spending at Best Buy. Status costs. You must spend $1,500 per calendar year to get elite status and $3,500 a year to get elite plus status. If you don’t want to be limited by using rewards only at Best Buy or want more robust rewards and flexibility than the My Best Buy® Visa® Card, we present the Amazon Prime Rewards Visa Signature Card as another option. A lot of the items sold at Best Buy, ranging from electronics to appliances, can also be bought at Amazon.com. Technically, there’s no annual fee for this card, but you must be an Amazon Prime member, at $119 a year, to get the higher cash back on spending at Amazon.com and Whole Foods. If you’re not a Prime member, you’ll get 3% in those categories. You earn 5% back at Amazon.com and Whole Foods Market, 2% back at restaurants, gas stations and drugstores, 1% back on all other purchases. New cardmembers receive a $70 Amazon.com gift card upon approval after being approved for the card; that leaves you paying only $49 for your Prime membership during the first year. One hundred points on the card equal $1 that can be used at Amazon.com, redeemed for cash or an electronic deposit into an eligible checking or savings account, or for travel, gift cards and products or services. This gives you much more flexibility than the Best Buy credit cards. There’s no cap on rewards earned and they don’t expire as long as your Amazon.com account remains open. You also get travel and purchase protections and access to 24/7 Visa Signature concierge service. If you’re a die-hard Best Buy shopper and buy your electronics, appliances and devices there regularly, then these are your cards. All the money you spend on the credit and store cards are converted into reward dollars that you can turn around and spend at Best Buy. If you do the required spending, the elite tiers under the My Best Buy® loyalty program could be appealing. But if you want more flexibility with how you use your rewards, the Amazon Prime Rewards Visa Signature Card may be a better option, especially since you can get many of the same things sold at Best Buy. And as a Prime member, you not only get free two-day shipping, you also get perks like access to Amazon Video, Amazon Music, Prime Now two-hour delivery, Prime Reading and a free six-month trial subscription of The Washington Post. You need to decide what’s most important to you when it comes to a credit card. It always pays to shop around for cash back or rewards cards you can just stick with instead of cramming your wallet full of different types of name-brand credit cards. The information related to the My Best Buy® Credit Card, the My Best Buy® Visa® Card, and the Amazon Prime Rewards Visa Signature Card has been collected by CompareCards and has not been reviewed or provided by the issuer of this card prior to publication. **The content in this article is accurate at the publishing date, and may be subject to changes per the card issuer. Disclaimer: This article may contain links to MagnifyMoney, which is a subsidiary of LendingTree, our parent company.